Ellen is an unmarried schoolteacher. She moves from Galena, Wisconsin to Pepin, Wisconsin. In Pepin she will teach in a one room schoolroom. Little does she know how many controversial experiences will become a part of her daily life. 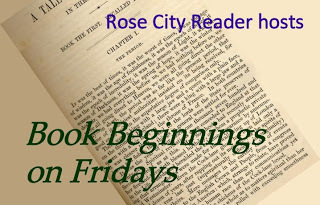 Lyn cote in The baby Bequest writes an inspiring novel about life in the 1870's on the frontier. I especially liked learning about the life for the immigrants who came from the old country hoping to never return there. Kurt, Gunther and Johann are the main immigrants in the novel.Kurt is the father of one boy and an uncle to the other boy. Kurt carries a horrible secret from Germany to America. It is a deep hurt which leaves him filled with guilt and shame. It almost interferes with a love relationship. Those of us who have been called by ugly names will feel the emotional pain of Kurt every time some one calls him Dutch or just belittles him because he is a foreigner. Ellen's brother and sister don't miss a chance to let him know he is beneath them. Throughout the novel, I got the feeling that most of us will have to struggle with who we are or what we look like when in a community. William, an infant, has a red wine birth mark. There is Amanda, the Ashfords' daughter who has a lowered eyelid due to an outbreak of the measles. If not around people who love you and accept you, a person might always feel inferior and sad. I am more thankful than ever for people who do not judge others by some personal criteria they have made up in their lives to fit the lives of other people. It does not work. It only breaks people down and causes them to lead lives of hopelessness. The setting is presented wonderfully. I could just see the Mississippi river freezing over. Every family needed to hurry with their errands before the freeze. If you wanted to visit family, you had to hurry and cross the river. I will miss Ellen, William and the other characters. Perhaps, Baby William was too good for a baby. I think the author grew extra fond of him while writing. He is just about the calmest baby I've ever met. I felt very happy when he finally turned over.